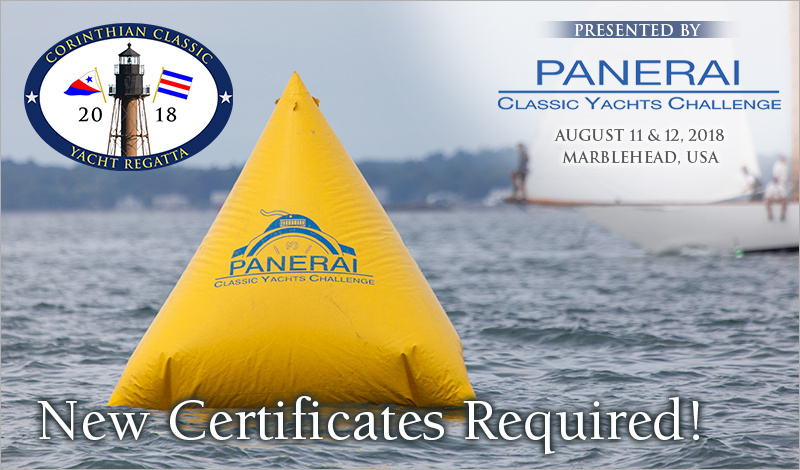 The 2018 edition of the Corinthian Classic Yacht Regatta, as well as all of the North American Panerai Classic Yacht Challenge events, will be conducted under CRF MKII ratings. In order to ensure fair sailing, the CRF group is now requiring new certificates every year. Please note that all competitors will need a new or updated CRFMkII rating to compete in 2018 classic regattas. A 2018 CRF MKII rating certificate is required for eligibility this season.